Its India’s first HR YELLOW PAGES launched exclusively for the Business & HR Community. It is a HR Directory listing & connecting all HR Products & Services vendors with the Business & HR Community. It’s a platform built to list all HR Products, Services, Academic Institutions and related vendors to enable the HR Community to co-create value thro’ People. Through this Directory, you can reach out the Business Community and the HR Fraternity & provide a comprehensive range of the business opportunities with the leaders of the industry community. 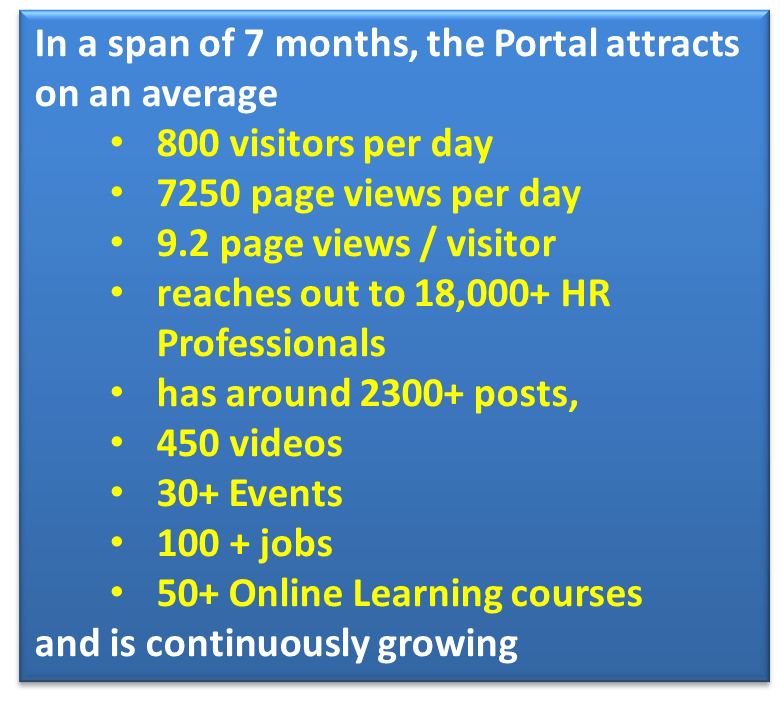 The visitors and potential customers can easily browse the portal and find the product, service or company they are looking for. It is mobile enabled & easy to use. Do you want to improve your visibility, referral traffic, explore new opportunities? If YES, HR Directory is the one, that can help you to achieve your goal. Its being promoted and launched by www.humanengineers.com and is part of their overall strategy & offerings. We request all HR Products & Service providers to make use of this opportunity and LIST their esteemed Organisation, Product & Services on www.hrdirectory.in and encourage all Business & HR Community to refer to www.hrdirectory.in to search for the the best HR Products & Service Providers. You dont have to restrict your choices any more. Standard – Only About Us, Products & Services, Contact Details – Rs.6,000/- per annum + applicable government taxes Premium – Standard plus Photos, Videos, Events, Deals, Jobs & Blogging – Rs.9,000/- per annum + applicable government taxes Featured – Premium + Always on the top – Rs.15,000/- per annum + applicable taxes. As an inaugural offer, we are offering a 20% DISCOUNT, which will be valid till 31st Oct 2016. You can please use the DISCOUNT COUPON – INAUGOFF16, while registering and making payment online. You can register online and create a login with your own username & password and can list your product, organisation, services, photos, videos, jobs, events, blogs, deals etc. on line. If you need any assistance, please feel free to contact us at info@hrdirectory.in or rameshranjan@humanengineers.com to help you assist in the listing process. I am not suggesting your content isn’t solid, however suppose you added something that makes people want more? – Humanengineers is kinda plain. You ought to glance at Yahoo’s home page and see how they write post titles to get viewers to click. You might try adding a video or a pic or two to grab readers excited about what you’ve got to say. A few years ago I’d have to pay someone for this inimtoarfon. This article presents clear idea made for the latest visitors of blogging, that truly how you can do blogging.